After seeing snippets of this scene in previous trailers, Marvel finally unveiled this extended clip on Good Morning America and Jimmy Kimmel Live before releasing it online for our viewing pleasure — and dissection! The clip seems to take place early in Avengers: Endgame from the look of Black Widow’s (Scarlett Johansson) short blonde hairdo and gives us greater context for that awesome first meeting between Hobo-Thor (Chris Hemsworth) and Captain Marvel (Brie Larson). It reveals that the surviving Avengers have some way of monitoring the Infinity Stones — perhaps Shuri (Letitia Wright) had time to cobble something together when she was operating on Vision (Paul Bettany) before she bit the dust — and that Captains America (Chris Evans) and Marvel agree that the best course of action for turning the tide against Thanos (Josh Brolin) is to go on the offensive. Avengers: Endgame was directed by Anthony & Joe Russo (Avengers: Infinity War) from a script by Christopher Markus and Stephen McFeely. The super cast includes Robert Downey Jr. as Iron Man, Chris Evans as Captain America, Chris Hemsworth as Thor, Mark Ruffalo as Hulk, Scarlett Johansson as Black Widow, Jeremy Renner as Ronin/Hawkeye, Don Cheadle as War Machine, Paul Rudd as Ant-Man, Cobie Smulders as Mariah Hill, Benedict Cumberbatch as Dr. Strange, Karen Gillan as Nebula, Bradley Cooper as the voice of Rocket Racoon and Josh Brolin as Thanos. 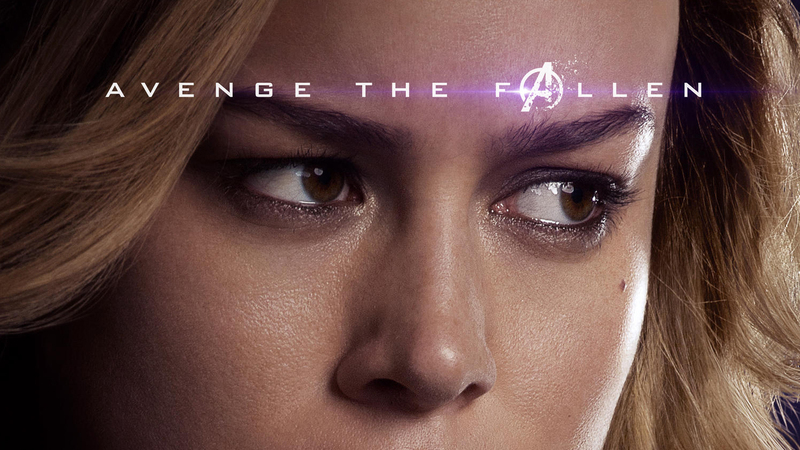 Avengers: Endgame opens in theaters in IMAX and 3D on April 26th.